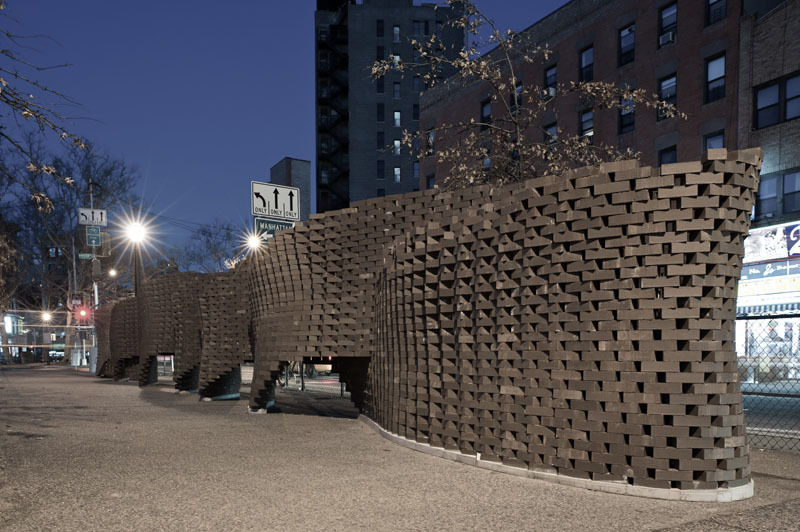 Pike Loop is a 22m (72ft) long structure built from bricks, the most traditional building material widely present in New York. 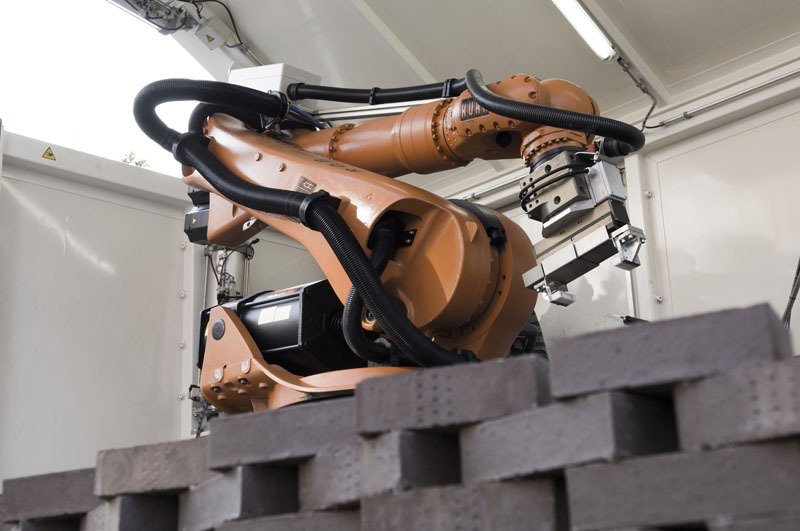 It was designed to be built on-site with an industrial robot from a movable truck trailer. 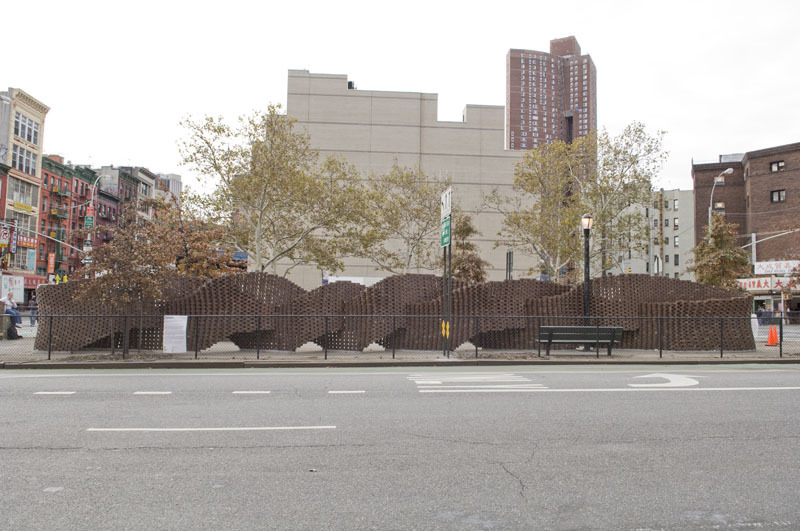 More than seven thousand bricks aggregate to form an infinite loop that weaves along the pedestrian island. In changing rhythms the loop lifts off the ground and intersects with itself at its peaks and valleys. 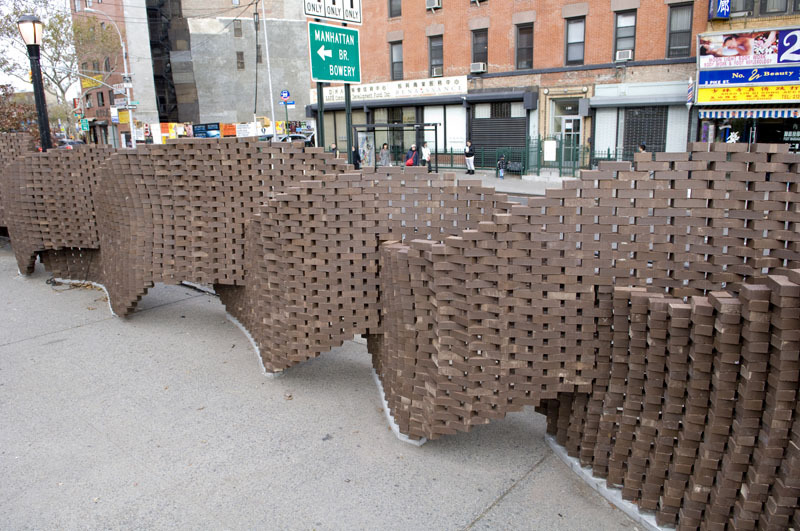 The massive weight of the bricks is brought to a delicate suspension. 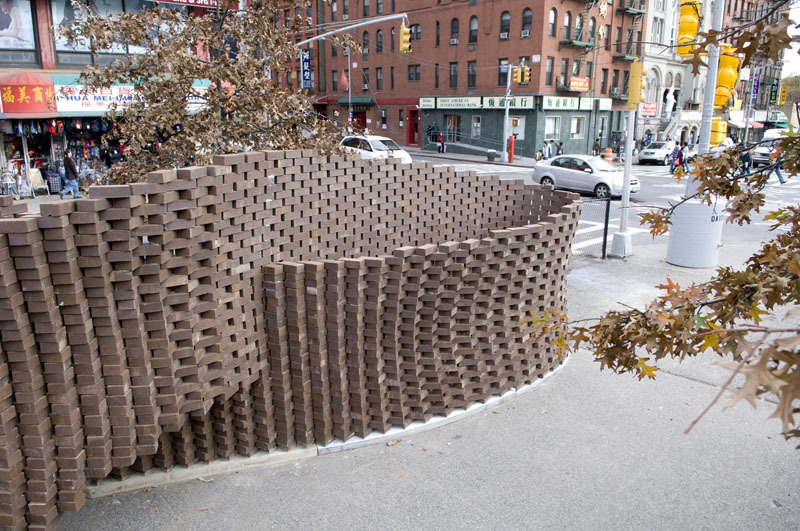 The digitally designed brick structure is further articulated by a weighted compressing and tensioning of the brick bond. Where the loop flies the bond becomes stretched and thus lighter; where it brings loads to the ground it becomes jagged and heavier, thus wider and more stable. 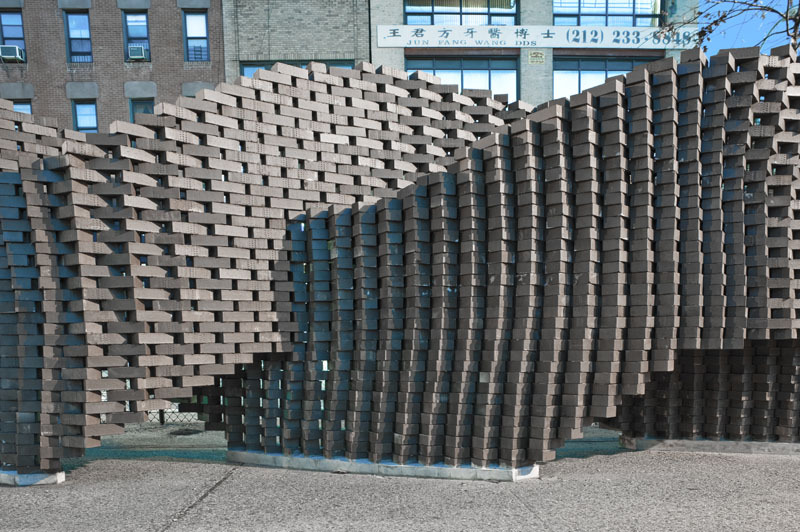 The continuous form and homogeneous expression of the structure can only be achieved through on site digital fabrication. 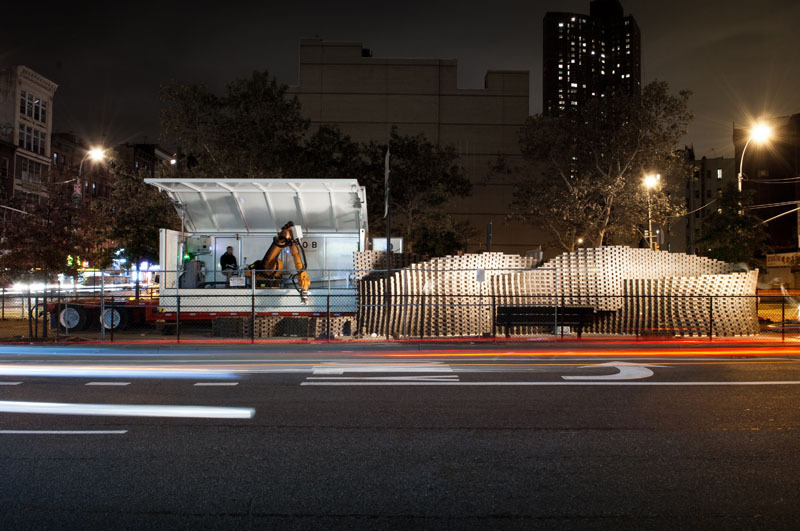 The structure is built using the robotic fabrication unit R-O-B housed in a transportable freight container. 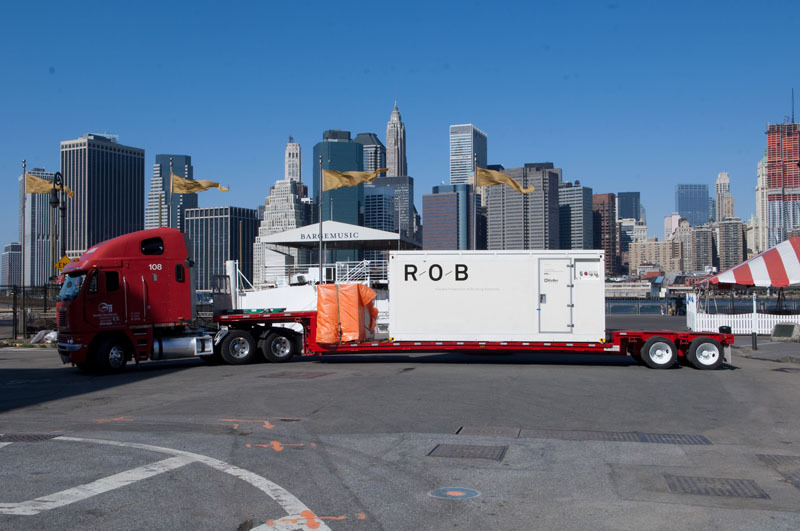 R-O-B was shipped from Switzerland to New York and loaded onto a low bed trailer for transport and onsite fabrication. The moving of the truck trailer shifts the 4.5m (15ft) work area of R-O-B along the site in order to build the complete structure. The first public installation built with R-O-B, Structural Oscillations, was exhibited at the 2008 International Architecture Biennale in Venice. 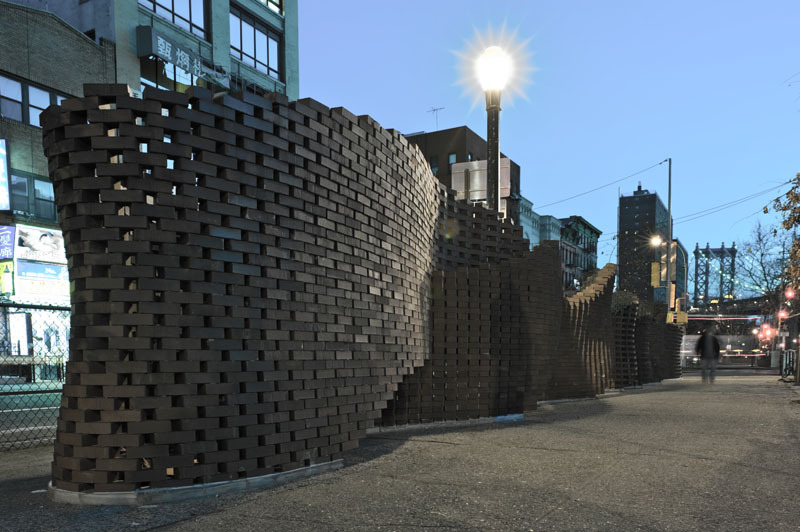 While the installation in Venice was prefabricated next to the site, Pike Loop is the first installation that is directly built in situ.